Finding the right travel insurance policy for your trip is easy when you follow our top tips. Travel insurance can seem complicated. With so many options and levels of cover to choose from getting the right deal can seem like a daunting task. But don’t worry, we’re here to help with some handy tips. The best travel insurance you can buy is a policy at the right price, which suits your individual travel needs. Comparing travel insurance policies is a great way to find the right policy for your needs as you get to compare multiple insurers at once. Compareinsurance.com.au can help you look at the different levels of cover and prices, side by side. Just answer 4 simple questions - your travel destination, dates of travel, how many people are travelling and age of travellers. There are two main types to pick from. Single trip policies which only cover one trip, or annual multi-trip policies, which cover you for every trip you make over the course of a year. Annual multi-trip policies also cover you for all your domestic travel, so if you jet off interstate for weekends away throughout the year, as well as head overseas for a holiday, this is the policy you should consider. You can also choose the level of cover you want to buy. Basic, mid-range and comprehensive policies are available, each designed to suit the needs of different travellers. Find the right level of cover specific for your destination and type of holiday. Essentials are emergency medical cover, personal liability and if you’re travelling with valuables, you’ll need cover for luggage and personal belongings. Don't just buy the cheapest travel insurance policy you see; if you do, you might miss out on vital cover. Buy your travel insurance as early as possible so you benefit from cancellation cover. No one expects to have to cancel or delay their holiday, but the unexpected can happen. If your trip is cancelled or delayed due to unforeseen circumstances, then you may be covered for out-of-pocket expenses. If you’re planning on jumping out of a plane or skiing down a mountain, make sure that the activities you have planned are covered. Always read the insurer’s Product Disclosure Statement to see what activities are included and excluded. Ensure that the company you choose is a reputable company. Compareinsurance.com.au provides ratings and reviews of many companies in Australia, so take a look at what past customers think before you buy. Pick a policy which has a 24-hour medical assistance hotline. This will be very handy if you run into trouble overseas. Check all the excess amounts before you buy, and know what you might have to pay if you need to claim. You might be able to reduce your premium by increasing your excess. We know there is a lot of it, but reading the small print in any insurance policy is essential. By knowing the policie’s ins and outs you can understand the exclusions and avoid being in a situation which an insurer will not cover. If you’re pregnant you may find it trickier to get cover beyond 26 weeks, but there are insurers out there that do cover up to 30 weeks. For example Columbus Direct will cover you up to 30 weeks for an additional premium. If you already have an annual policy it's best to check with your insurer to see if your cover benefits remain the same. Always consider your safety before you travel. If there have been travel warnings about your chosen destinations your insurance might not be valid. Always check with smarttraveller.gov.au for up-to-date information. Follow our best travel insurance tips today and you will find the right policy suitable for your holiday. On Yours Marks, Get Smart, Compare! It can be very time consuming shopping around different websites to find the right provider, so being able to see a range of options available to you in one place is a huge bonus! Cheap travel insurance: top tips to help you save! We know that finding a policy can seem like an expensive item on top of the price of your holiday, however finding great cover doesn't have to cost the earth. We've come up with 10 tips to help you ...... Read more. Did you know 70% of Australians say they would get cover for a trip overseas, but not everyone realises the importance of insurance cover when taking a trip in Australia. There are many thin...... Read more. 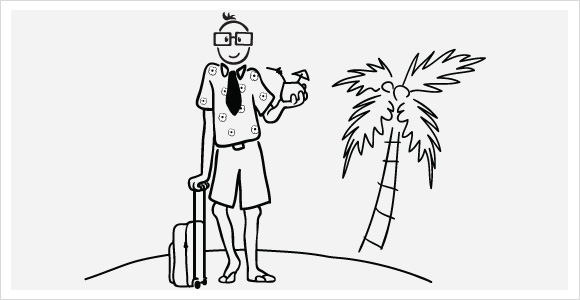 Seniors travel insurance for the over 50's, 60's, 70's and more! Getting the right seniors policy is vital whether you’re going on a trip within Australia or overseas. If you're over the age of 50, finding a suitable policy can be complicated and ex...... Read more. Finding the right policy for your trip is easy when you follow our top tips. Whether you’re planning a trip to the slopes, a f...... Read more. Cruising the high seas is sure to please, with something on offer for everyone. Forget lugging your heavy suitcase around and queuing two hours for bus tickets; cruises combine the excitement of see...... Read more. Some words and phrases in your policy aren’t there to catch you out, but they can have special meanings and can be tricky to understand.